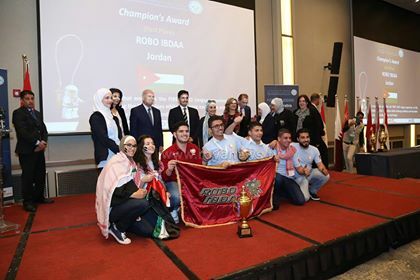 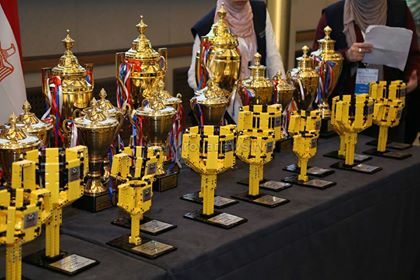 Under the patronage of His Royal Highness Prince Hamzah bin Al Hussein the FIRST LEGO League Arabia was organized by the King Hussein Foundation’s Jubilee Center for Excellence in Education, in cooperation with the Arab Robotics Association, and the participation of 103 teams from the Arab world. 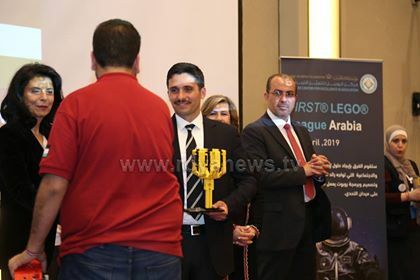 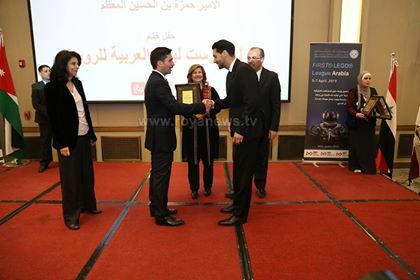 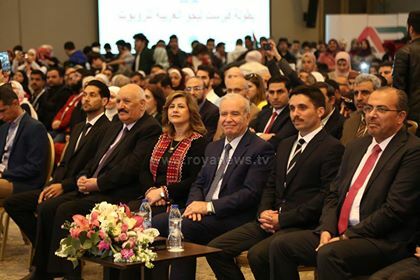 Prince Hamzah crowned the winning team and awarded the participants at the closing ceremony on Sunday evening where Roya TV, who sponsored the event, was granted an award received by GM Engineer Fares Sayegh. 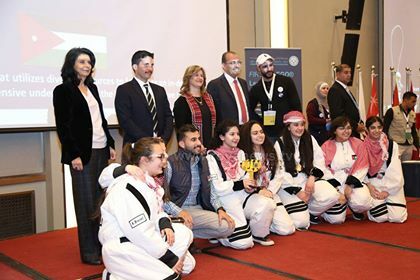 The tournament aims to integrate learning into practical life and engage students in finding practical solutions to the challenges facing the world, focusing on developing skills of scientific research and creative thinking among students in a stimulating learning environment in order to discover, develop and follow up on abilities and talents.